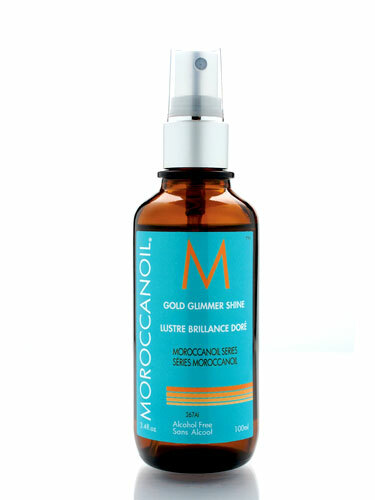 Moroccanoil Glimmer Shine Spray, from the Morrocanoil series is an invisible veil of pure luminous shine! For hundreds of years Argan oil has been used by women in Morocco to treat hair and nails in order to counteract the effects of the hot climate. The Argan tree, found only in the South West of Morocco called Argana; blossoms in the desert-like conditions and produces fruits much like olives yet larger and rounder. Inside the fruit grows a large nut that houses up to three almond-shape kernels which are the source of this miraculous oil. Spray in a misting motion from a distance of 10-12 inches. Avoid overuse and excessive management of hair after applying this product. Effective, long lasting shine.